A group of Chinese-American students are suing a town supervisor in upstate New York, accusing him of voter intimidation after he challenged new voter registrations submitted by 30 Chinese-American college students. The lawsuit, filed Oct. 20 in U.S. District Court for the Southern District of New York, alleges that Deerpark Town Supervisor Gary Spears violated the students’ First and Fourteenth Amendment rights, as well as the Voting Rights Act, according to court papers. The 10 plaintiffs, eight of whom are students who reside full-time at Fei Tian College in Deerpark, New York, also allege that Spears defamed them by making remarks condemning them “as a group for doing something improper, fraudulent or corrupt when they legally registered to vote,” court papers said. The voter registrations of the 30 students were cleared earlier this month. In August, Spears, who is up for re-election, challenged voter registrations of 30 Chinese-American students attending Fei Tian College, which offers bachelor’s degrees in music and fine arts. The plaintiffs, who in court papers said they are U.S. citizens and who registered to vote in July, allege that, on Aug. 19, Spears made public comments saying Deerpark had 60 or 68 new voter registrations from people of Chinese descent, and that there was concern about whether they were citizens. Spears also made the challenges because, on Facebook, some names were linked to addresses in California, he told the Times Herald-Record, a daily newspaper in upstate New York. Fei Tian College, which sits on a large parcel of land owned by Dragon Springs Buddhist Inc., an organization affiliated with the Falun Gong religious movement banned in China, has said that even though its address is listed as a single-family home on tax records, it is well known to Deerpark officials that the house serves as a dormitory for the college’s students, according to the Times Herald-Record and court papers. In addition to the college, the Dragon Springs campus includes a high school called the Fei Tian Academy of the Arts, approved in 2007 by the New York State Department of Education to offer elementary and secondary education. According to the Times Herald-Record, the New York State Attorney General’s Office began an investigation into possible voter discrimination in September. An email sent to the state Attorney General’s Office Saturday seeking comment on the investigation and requesting a copy of the letter was not returned. The Chinese-American students’ lawsuit, which comes two weeks before Election Day, casts a spotlight on the strained relations between Dragon Springs and some in the town of Deerpark, a residential enclave of 7,900 located about 100 miles northwest of New York City. Most recently, Dragon Springs sued the Mount Hope Buildings Department and Zoning Board of Appeals in July, arguing it was denied due process rights when its permit to build a $1 million solar farm was revoked and the board did not take action within the required period of time, according to the Times Herald-Record. At the time, a supervisor in Mount Hope, a nearby town, told the Times Herald-Record it was a “misunderstanding,” saying the application to the Zoning Board of Appeals had been misplaced. Before that, a hearing in March on Dragon Springs’ proposal to convert a meditation hall into a dormitory and for approval for a rehearsal hall already built attracted some residents who showed up to voice concern about and opposition toward the group’s expansion, the Times Herald-Record reported. Two candidates with ties to the Falun Gong and to Dragon Springs are running for office in Deerpark: one is Gail Rachlin, who is seeking a position on the Town Board; the other is Liam O’Neill, a former Town Board official who is challenging Spears, according to the Times Herald-Record. Both are Democrats. Spears is running under the Republican, Conservative, Independence and Reform parties. On Oct. 6, two of the plaintiffs who were disqualified from voting went with their U.S. passports to the Orange County Board of Elections, which administers the town of Deerpark, and had their registrations reinstated, court papers said. 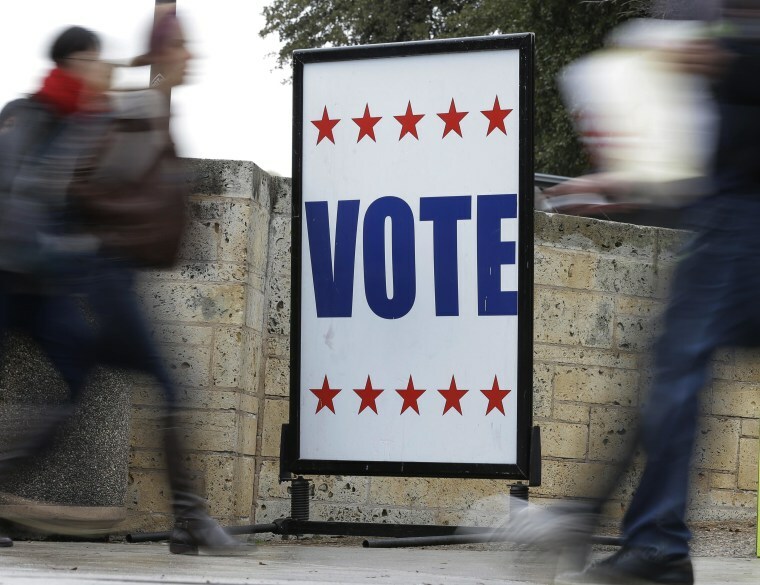 The other Chinese-American students who had registered to vote were advised to bring their passports with them to the polling site on Election Day, according to court papers. The lawsuit seeks to enjoin Spears from “further acts of voter intimidation” and to award compensatory and punitive damages to the plaintiffs. Chris Fuchs is a freelance journalist based in New York. His articles have appeared in Foreign Policy, the Taipei Times, and in Chinese on ETToday.net, a popular Taiwanese news website.